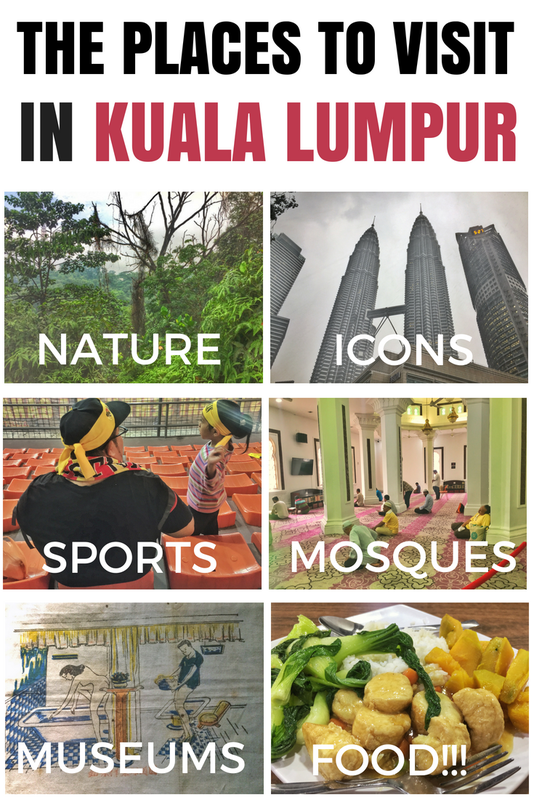 I’ve spent around four months in the city over the years so if you’re looking for places to visit in Kuala Lumpur, I’d like to think there are a few good ideas in this list. I can see why some people aren’t a fan of the place with its labyrinth of highways and an abundance of shopping malls. But when you have a plan, and visit places that interest you, you’ll love Kuala Lumpur! 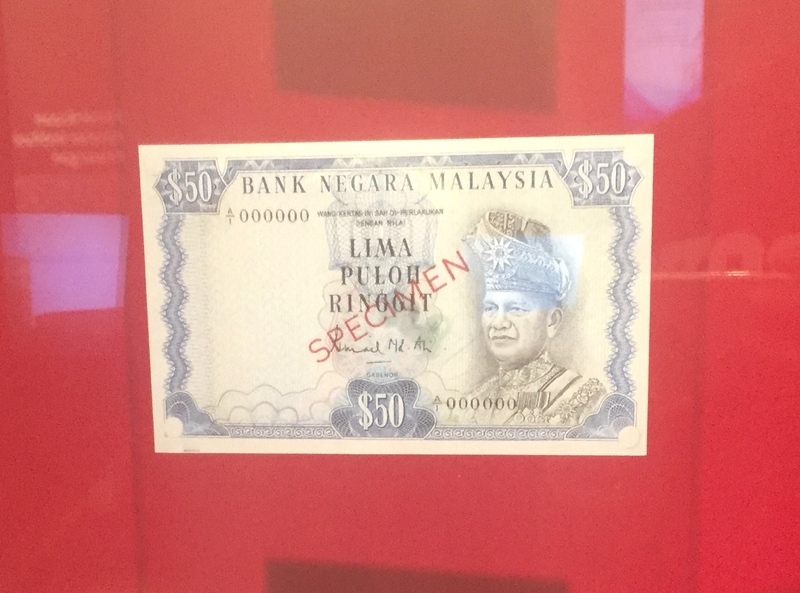 This post covers various places I’ve visited in KL over the years. If you find I’ve not been somewhere that I should, let me know so I can visit next time! To make your life easier, you can click on the bold headings below to jump straight to the relevant category. 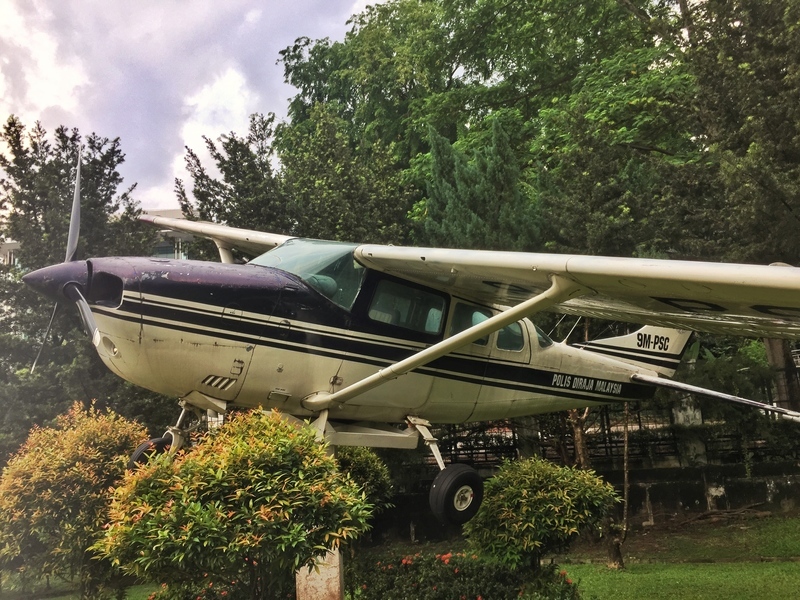 If you’re on a layover in Kuala Lumpur, these icons are the top things to do in Kuala Lumpur. 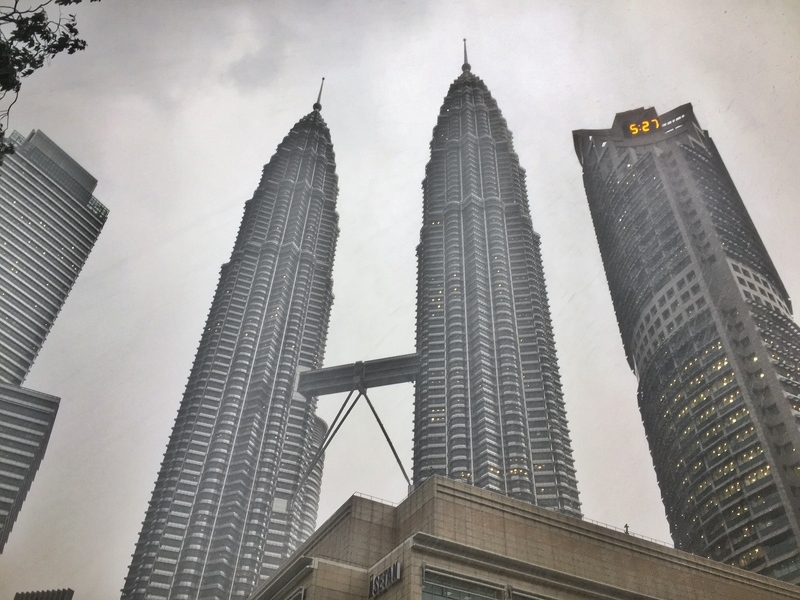 Undoubtedly the #1 icon of Malaysia, at the minimum you have to get up close to the towers for a photo. There’s a large high-end shopping mall at the base of the towers, but the main tourist attraction is to go up to the observation deck for sweeping views of the city, although you can simply view the beauty of the building from the outside which you can’t see when you’re inside. 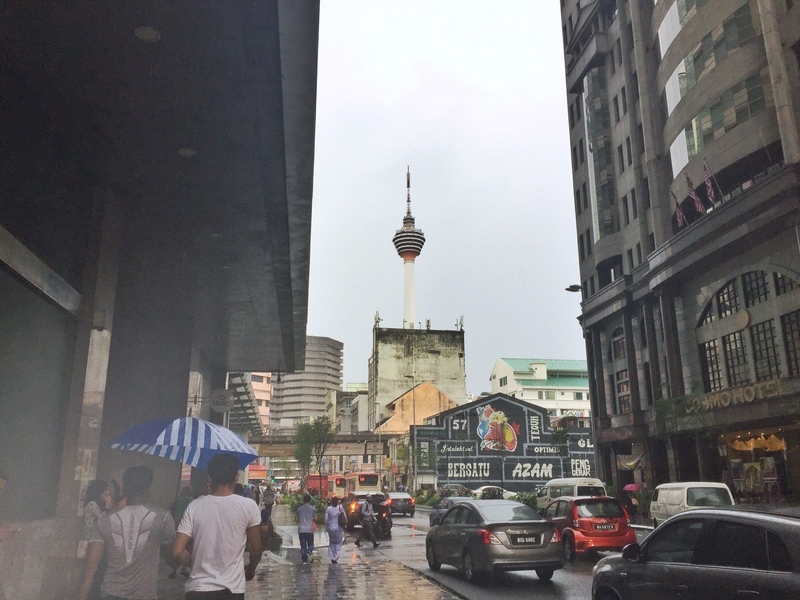 With the towers and KL tower as a landmark, you have no excuses for getting lost in the city. 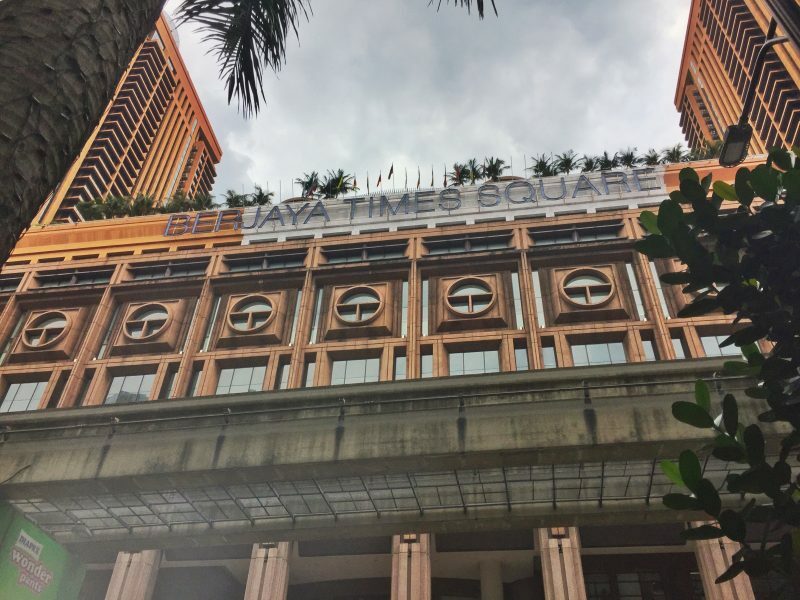 If you’re short on time in KL, you might want to buy these skip the line tickets to guarantee your viewing time and have them dropped off at your accommodation before you arrive. With the top of the antenna reaching 421 metres, KL Tower is a landmark you can spot from around the city. If you’d like to go up the tower, the observation deck is 276 metres above ground. I remember my first time in KL, I had peri-peri chips from Nandos for lunch then went straight to the top of KL Tower. There are other activities which you can see on their website. You can buy your tickets on GetYourGuide in advance and it doesn’t cost any extra. 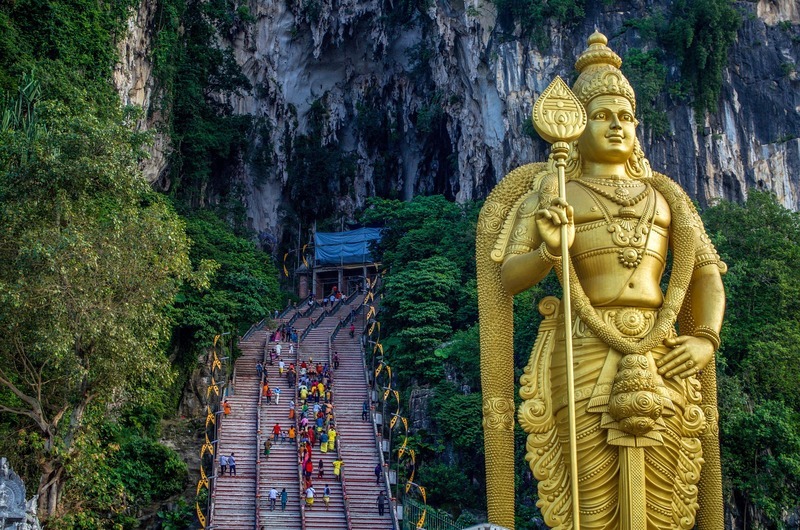 Located on the outskirts of the city, it’s easy to get to the Batu Caves that are not only a tourist attraction but an important pilgrimage site for Hindus. My lasting memory will be the pigeons in the area around the massive 43-metre high statue of the Hindu god, Lord Murugan. Then to reach the actual caves you’ve got over 200 stairs to climb, with some evil monkeys looking to take advantage of any weakness you show (I strongly dislike monkeys). Once you’re in the caves, you might be awestruck how big they are! A nice little trip that’s easy to reach on public transport. This is a different Chinatown compared to others I’ve experienced for one key reason, the lack of restaurants. Don’t get me wrong, there are restaurants in Chinatown but not a high number of them. 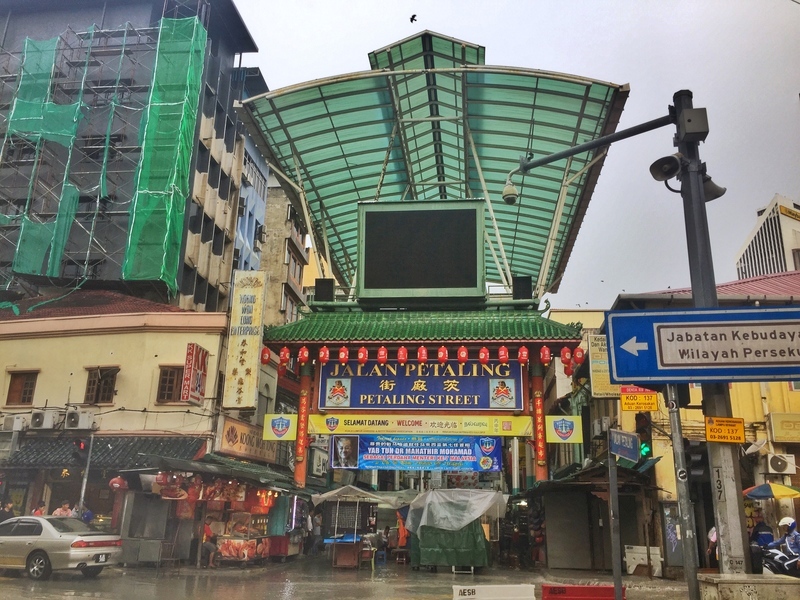 The main feature is Petaling Street which cuts down the middle and is lined with vendors throughout the day looking to offload some of their goods to you. They don’t hassle you so much here which is nice, and there are some good quality items to buy at a good rate (if you can negotiate well). I found myself walking through here a lot as I stayed nearby on one trip and loved the tau fu fah from Kim Soya Bean (Google Maps location is here). I didn’t check out the scene, but the nighlife in Chinatown is supposed to be great. A friend recommended Botak:Liquor to me. 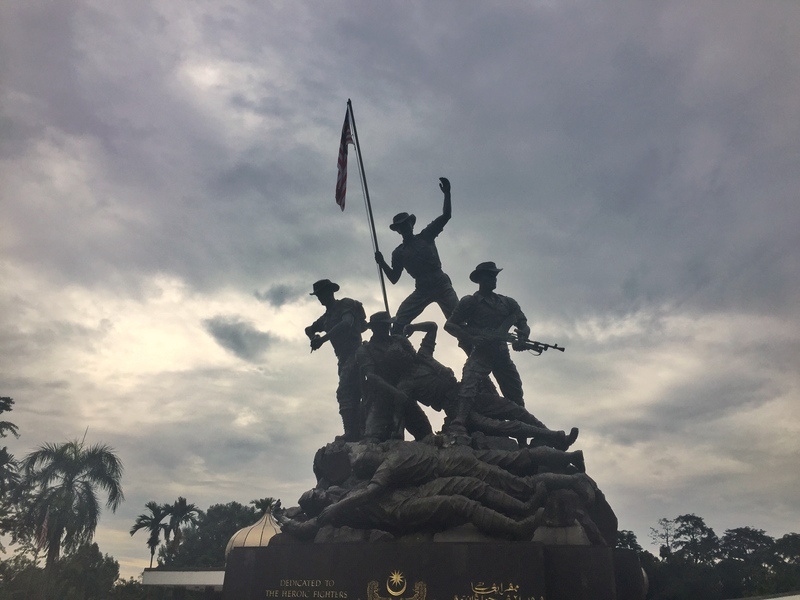 Those are the top four places to visit in Kuala Lumpur if you are here for a short visit. 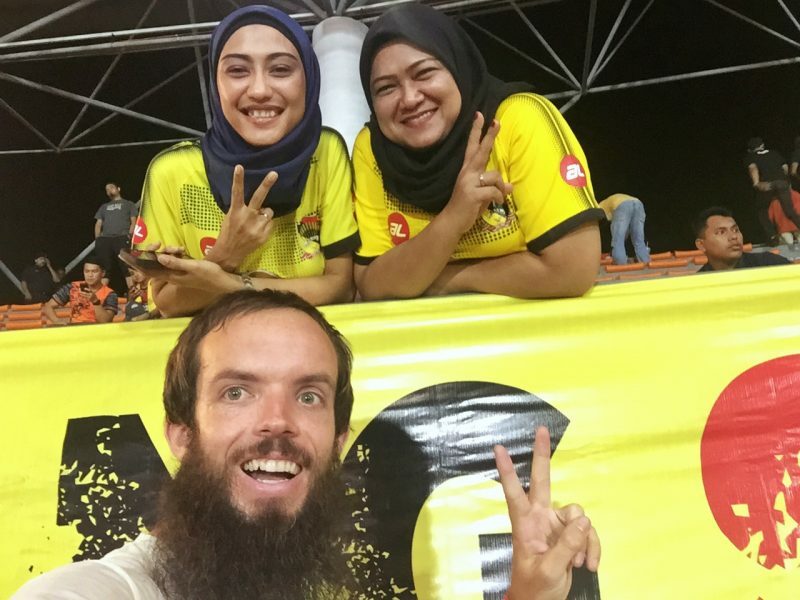 Malaysia isn’t known as a massive football country, but they do love the EPL like most of their fellow Southeast Asia neighbors. The Lot 10 Shopping Mall in Bukit Bintang even has a Liverpool FC shop inside. Selangor FC and Kuala Lumpur FC both play out of Kuala Lumpur Stadium which is close enough to the city centre it’s not hard to get to. Tickets cost 13 RM, and as always, it’s great to watch football when you travel to get a taste of local culture. 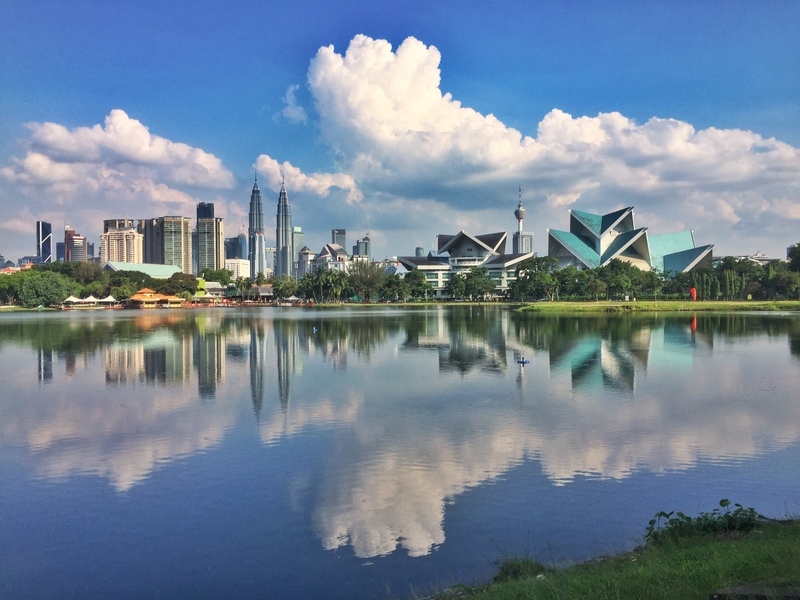 This is a man-made lake that is the focal point of the Federal administration city of Putrajaya. The attractions around the lake are really nice too look at, and the city doesn’t have a high population density at all meaning you have lots of space. 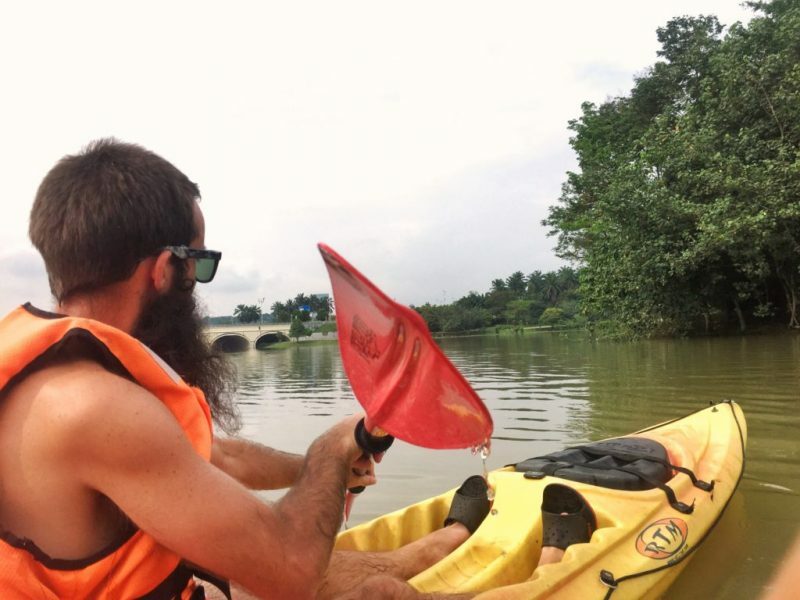 You can also take part in some water activities on the lake like kayaking. Unfortunately, Malaysia doesn’t hold a Formula 1 event at Sepang International Circuit anymore, but you can still take a tour of the circuit throughout the year (when there are no race days on). The marquee event at Sepang International Circuit is now the MotoGP event held towards the end of the year. The Botanical Gardens are a nice break from the chaos of nearby Chinatown and Little India. There isn’t so much in the way of gardens, but there is plenty of space to walk around with enough features to look at like the Bamboo House in the photo above. There’s a lake in the center of the gardens which most of the attractions are centered around. You could spend as little as 30 minutes here, or you could just as easily spend half a day enjoying the peacefulness here. Serene surroundings in Kuala Lumpur. At one of the entrances to Bukit Gasing. You can legitimately go hiking in Kuala Lumpur! Nothin intense of course, but considering you’re less than a kilometre away from some of the busiest streets in Kuala Lumpur Bukit Gasing is amazing. The signage isn’t great in the park, but if you’ve got maps.me downloaded, I found all the maps there were adequate in ensuring I could find my way back to where I entered. 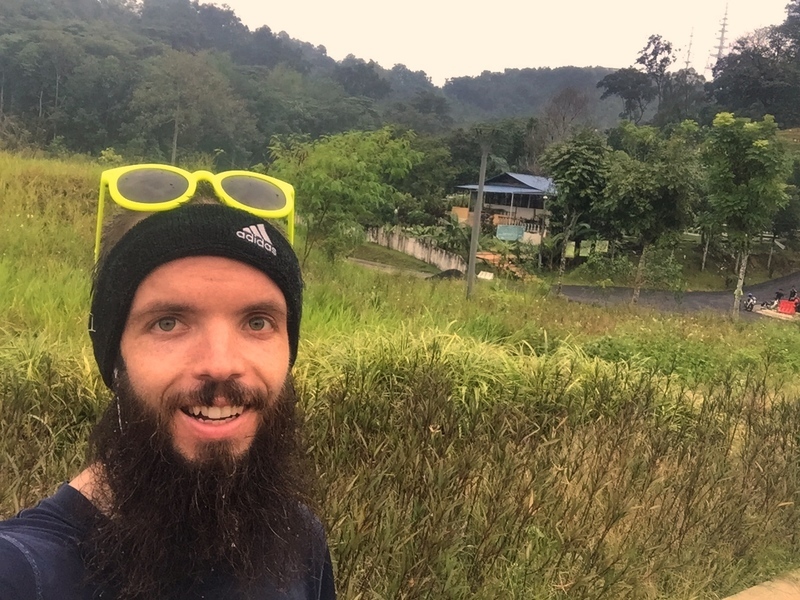 If it hasn’t been too wet, it’s a great place for trail running in Kuala Lumpur. If you’re wondering what to do in Kuala Lumpur thinking you’ve done everything, this should be next on your list. KLCC provides a bit of greenery right by the Petronas Towers, a highly trafficked area, and makes for a great spot to take photos of the towers. The park itself is well shaded and is centered around the made-made Lake Symphony (in the photo above). There are some fountains in the lake with the capabilities of shooting water up over 100 metres into the air! 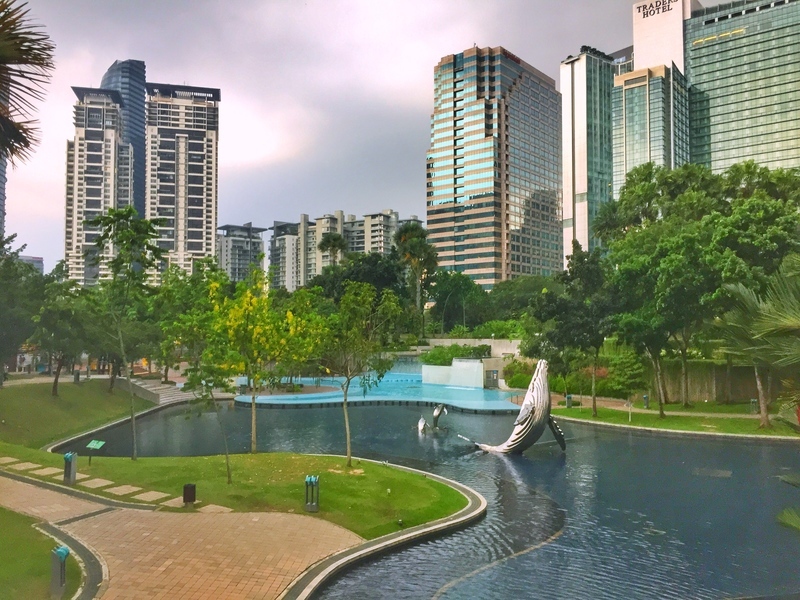 If you aren’t sure what to do in the evening, KLCC Park is one of the best places to visit in Kuala Lumpur at night as the lake is lit up with lights and music with a relaxed atmosphere. There’s also a 1.3km long-running track around the park, perfect for those wanting some exercise that are staying nearby. How good looking is that skyline view! 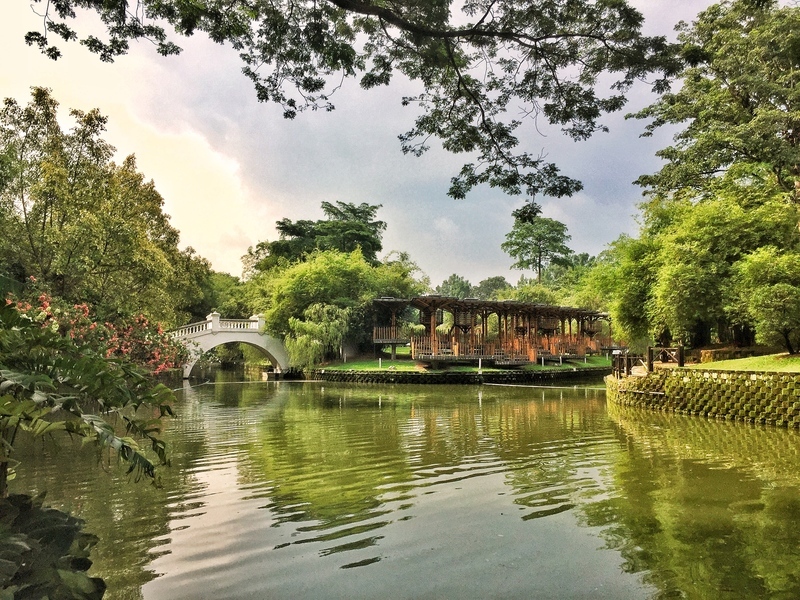 Located close to Chow Kit, Titiwangsa is a park with a lake in the center. There are some bikes available to rent, and those small cars kids can sit in and drive. Otherwise, it’s a nice place to visit in KL where you can grab a bite to eat at one of the stalls and take in the best view of the KL skyline. This is the one place to visit in KL I never get sick of! Who knew this was right in the heart of the city? 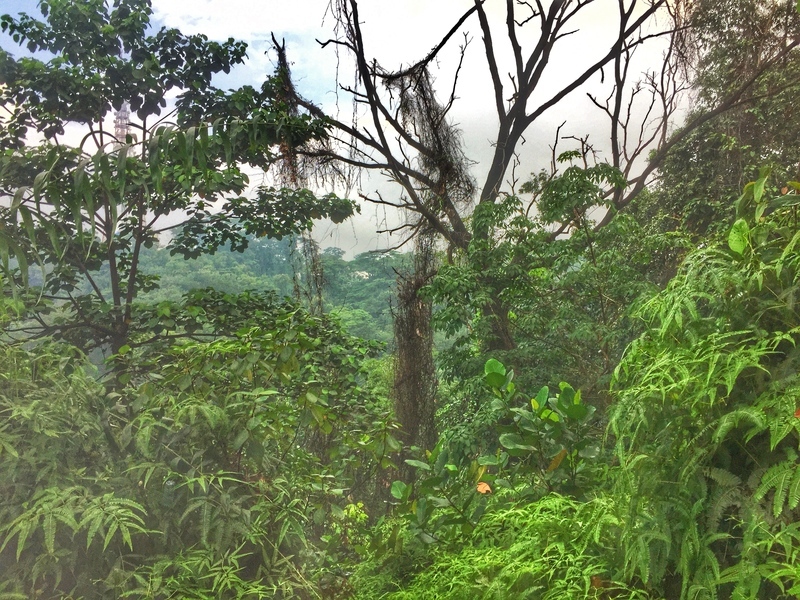 A short walk from Chinatown is the one virgin tropical rainforest in KL. Surrounding KL Tower, an hour or so here is magical. There’s a pathway you can follow with informational boards but you should take the canopy walk instead. 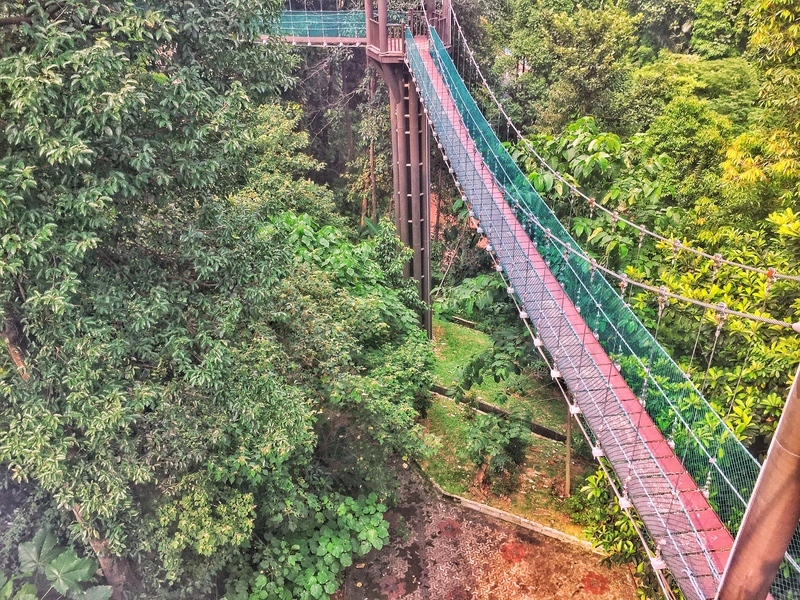 Who would have guessed there was a canopy walk in KL? 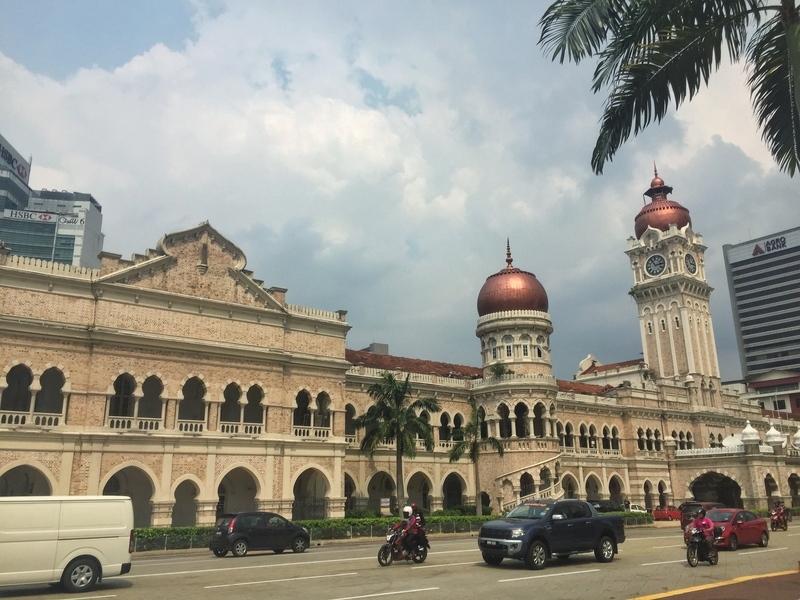 It’s one of the more off the beaten track things to do in Kuala Lumpur despite its location. There are certainly longer and higher canopy walks out there but this baffled me so much it was enjoyable. 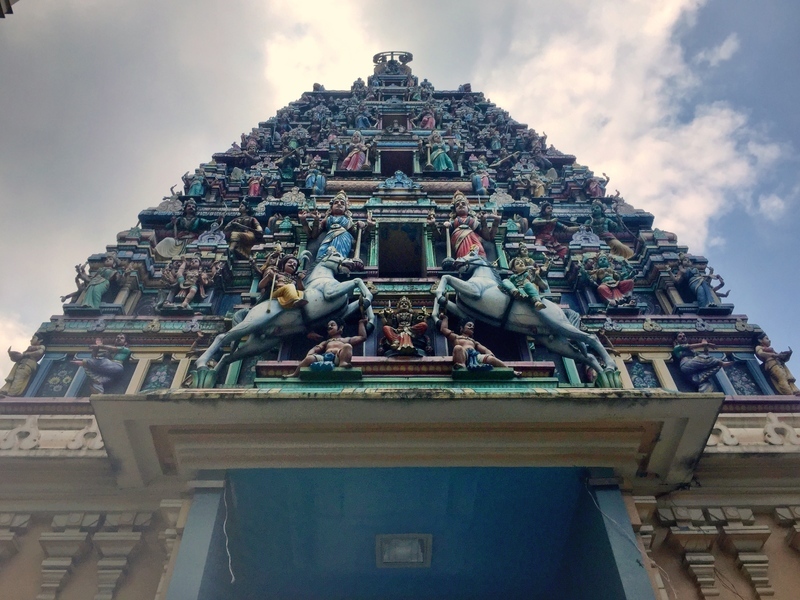 After visiting Sri Mahamariamman Temple I was going in with some lower expectations, which were blown out of the water when arriving. 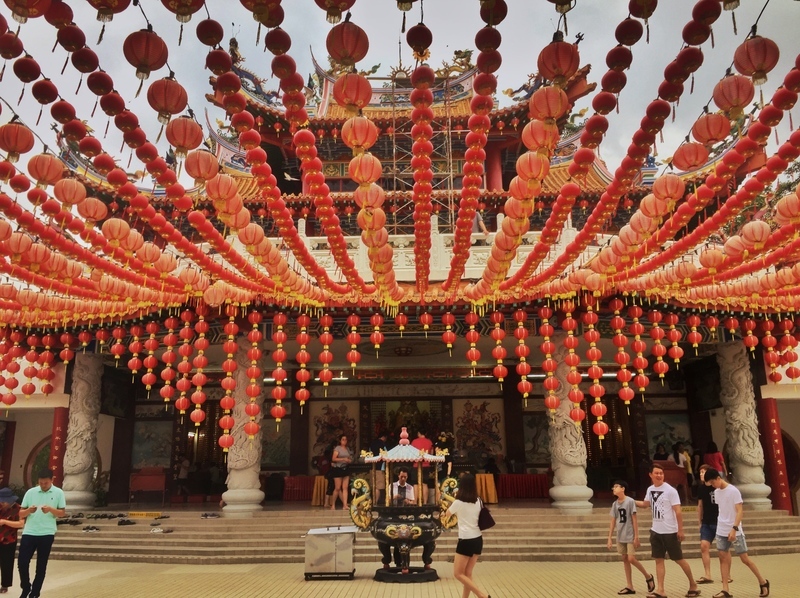 This Chinese Temple is relatively new, with construction completed in 1987 and it seems to be in great condition. At the entrance, there were fun animal statues to look at (water squirting dragons & evil-eyed rabbits) before I entered the 6-tiered structure. The fourth floor, with the prayer hall, is where you’ll want to go as a tourist (you can enter the hall but be respectful). The photo above is taken from the fourth floor courtyard, and if you turn around from here you get a view of the greenery merging in with the Skyscrapers of KL. Feeling hungry? Head to the food stalls on the bottom level. 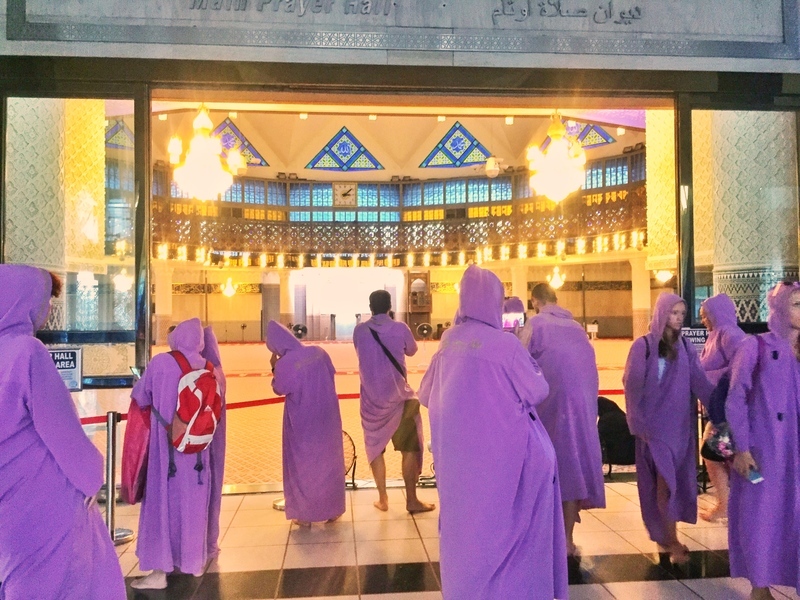 Lots of people in purple robes…totally normal…. 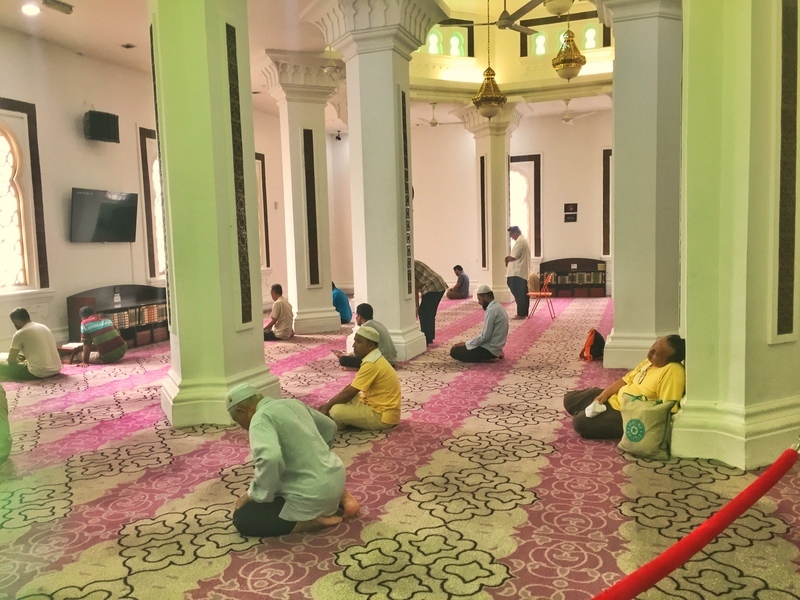 The Masjid Jamek Mosque is the most popular mosque in Kuala Lumpur for tourism I believe. It’s isn’t the biggest mosque, with a capacity of 6000 people able to fit into the property for praying on a Friday afternoon, but it is the biggest. The architecture is a bit different which caught my eye and I’m going to cheat and tell you the background of that from Wiki. They describe it as a combo of Moorish, Indo-Saracenic or Mughal architecture with pink and white minarets. If you appreciate the details of mosques, it’s worth seeing both the Jamek and National Mosques. There’s also the Indian Mosque a few hundred metres away. 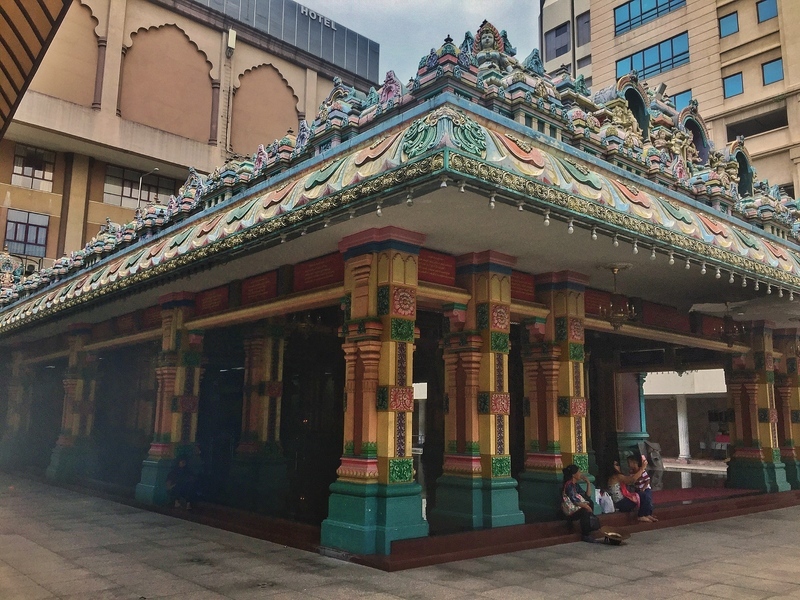 Located in China Town, Sri Mahamariamman Temple is a Hindu temple, the oldest in Kuala Lumpur. It’s free to enter (0.20 RM for shoe storage) and to be honest I didn’t get wowed by this. But everyone else seems to love this spot, so I’m including it in the post. The details in the section at the front and some of the artwork is interesting, but not having any information to learn about what you’re looking at has always been a pet peeve on mine. I was in and out within 10 minutes. 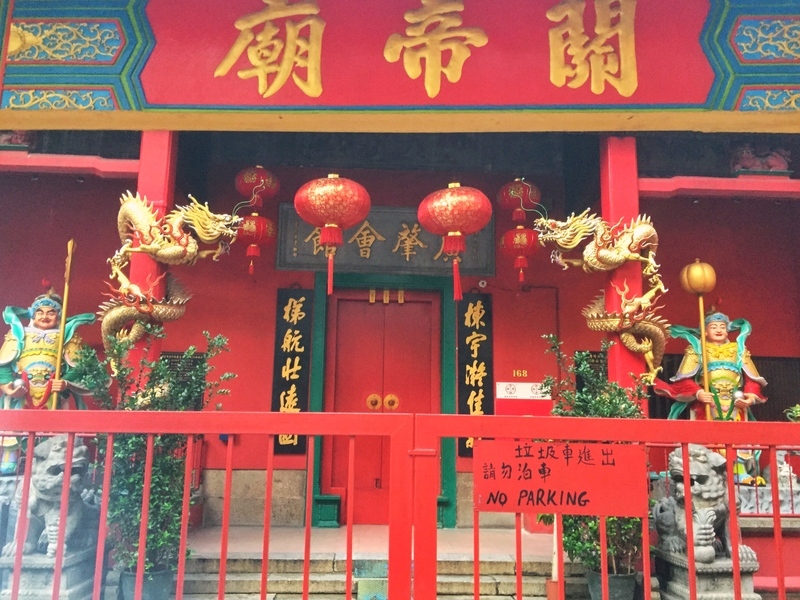 50 metres down the road, you can check out the Taoist Temple, Guan Di Temple. If you’re in need of some new technology, Malaysia is a good place to consider buying it. The prices at Low Yat Plaza (a specialty IT mall) are great for cameras and most gadgets, though I found the price of universal chargers over two times more than the same thing at 7/11 so don’t always assume it’s a great deal. Meeeeh, not convinced by Central Market. Built in 1928, it’s a heritage building and is popular with tourists. It was originally a wet market, but that came to a close in the 80’s and now it’s a fancy market with an array of souvenirs. There are some overpriced restaurants on the second floor too. Some of the stuff is reasonably priced, but I wish it was still a wet market! Would be much more exciting. 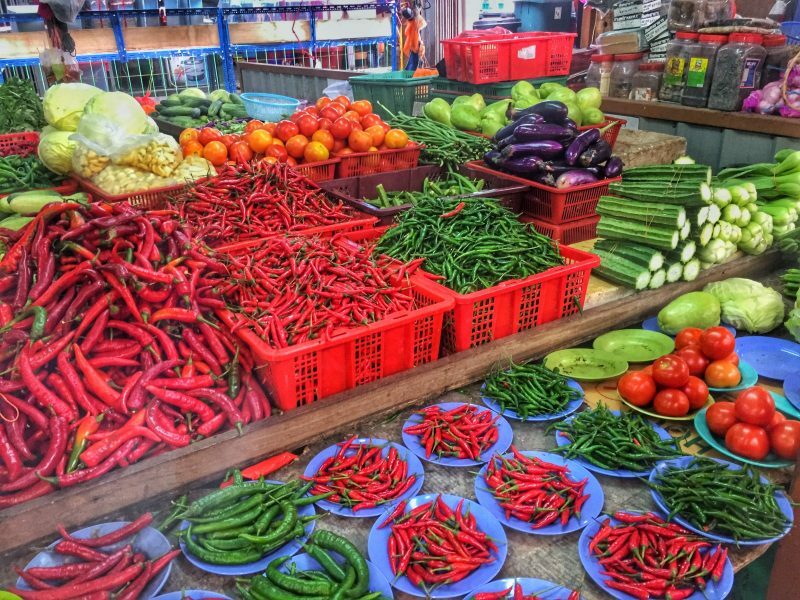 If you’re looking for a fresh fruit and vegetable market, you’ve got to visit the closest wet market to the Kuala Lumpur city centre. 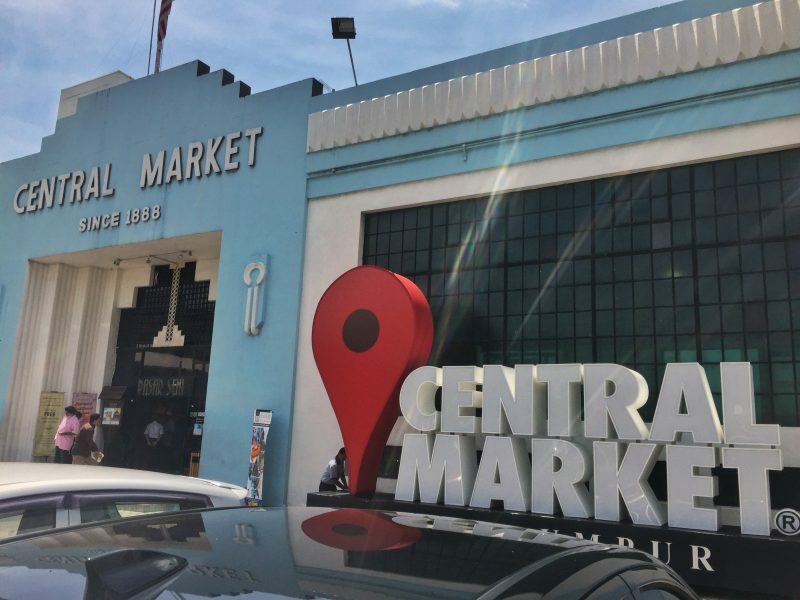 Central Market was a wet market, but tourism made that change so the closest market for tourists is Chow Kit Market. The fresh fruit prices are much better than what you’ll pay in Chinatown and it’s divided up into clear sections, meat, fruit, and vegetables. I went along in the early afternoon most days and found the selections to be great. Take a lap of walking around before you start buying as you might see some produce you aren’t used to seeing. If you don’t be prepared to leave with more fresh food than you can carry! Mushroom, vegetarian chicken, and rice. It tastes better than it looks,promise. A vegetarian food court?! Yup, I can’t say I’ve seen one anywhere else! 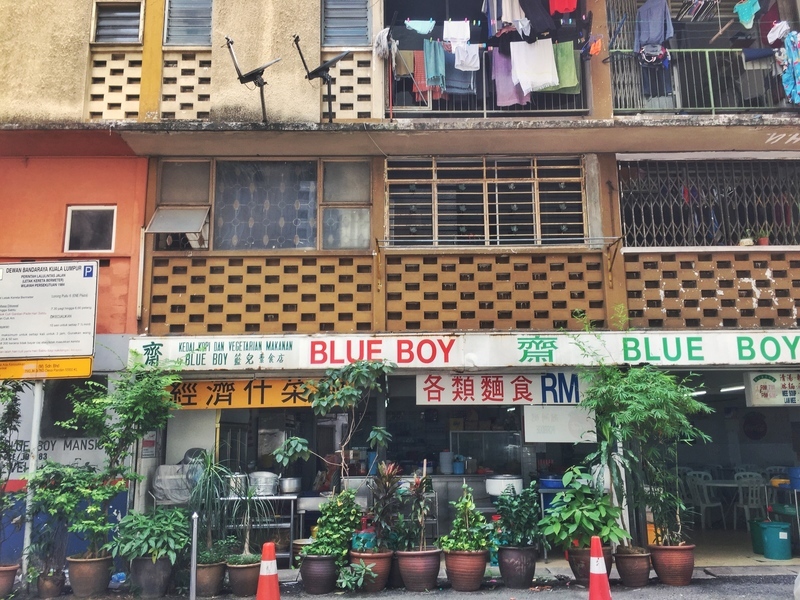 Blue Boy Vegetarian is on the bottom of a residential building, so it looks pretty rough on the outside…not exactly a place you’d voluntarily walk into if you were walking around without a place in mind. It’s kind of tucked back from the street too. Once you’re in though all vegans and vegetarians eyes will light up. 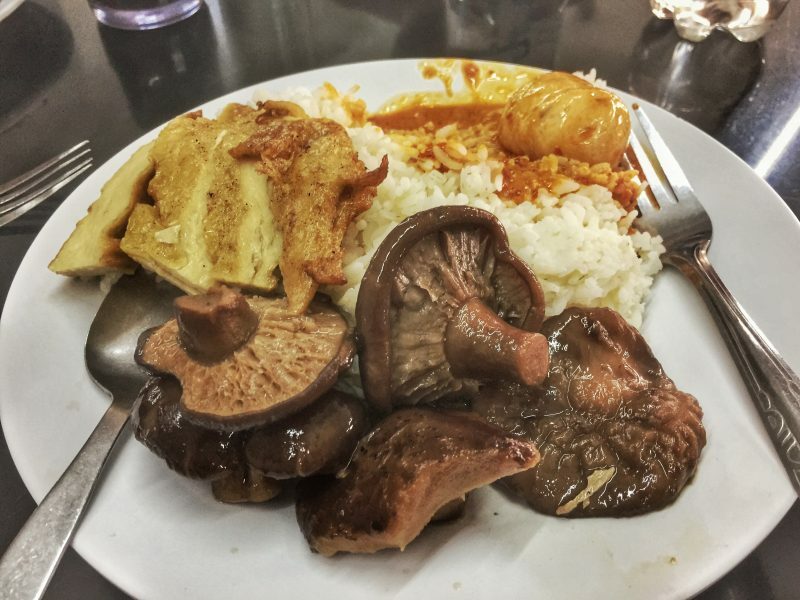 There’s a buffet style spot with a bunch of stalls serving a variety of dishes. I went for the buffet style, but be careful as the price can add up quickly this way. The individual stalls list their prices and they’re very reasonable. A.k.a. Brickfields. 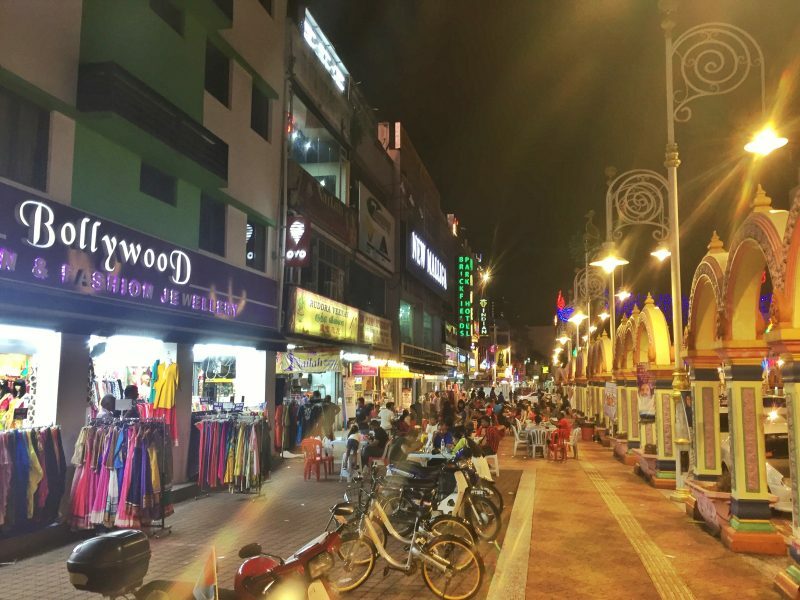 I had experienced Little India on one of my earlier visits to Kuala Lumpur and was disappointed. How wrong was I! At night this place comes alive with lots of people coming into the area to eat and shop. It really did have a feel of being in India and you’ve got to visit to have one meal at any of the restaurants there. It’s proximity to KL Sentral also means there are no issues getting there on public transit either. The hawker centre at the to of Sungei Wang Plaza has lots of great eats as does Taste of Asia on the bottom floor of Times Square. I like the buffet options at both places. 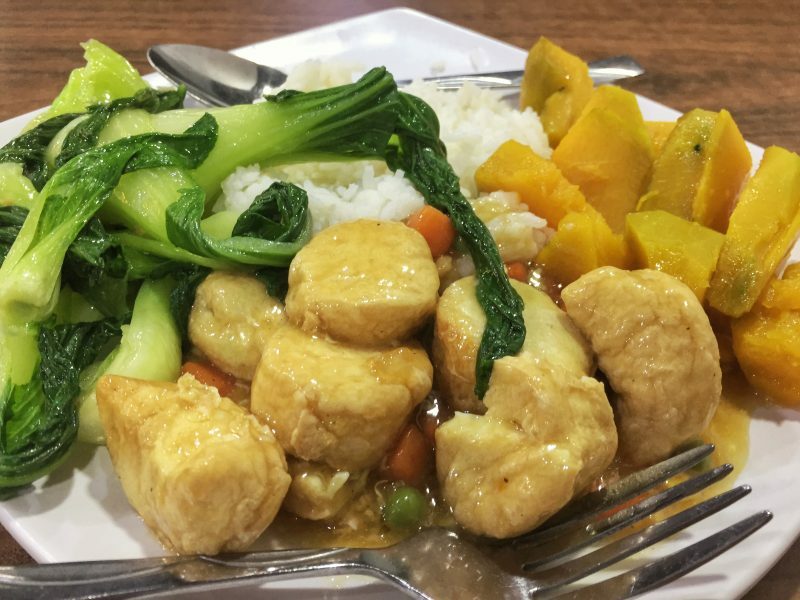 In short, if you’re looking for cheap places to eat, then head into a shopping mall and try either the top or bottom floor where the food courts are that the local workers eat at. n the 59th floor of the Banyan Tree is the highest bar in Kuala Lumpur, Vertigo (as of March 2019). 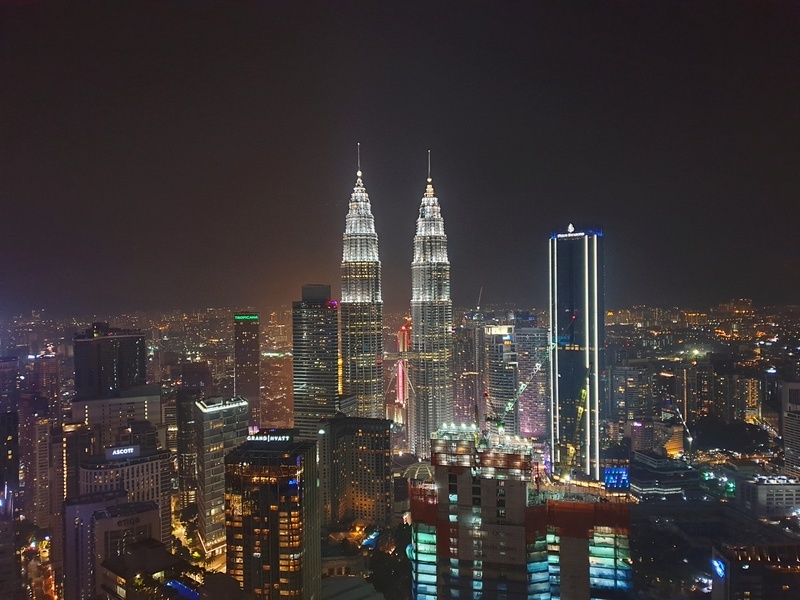 While it is a hotel, anyone is welcome to head to the roof top bar to get epic views of both the Petronas Towers and KL Tower as the sun sets and the city lights start to shimmer. Considering you’re in Malaysia which isn’t the cheapest place for booze, the drinks are a reasonable price. Look to take advantage of the happy hour deals too. We paid 150RM for a bottle of wine to share between three, not so bad. I’d recommend heading there about an hour before sunset to get the best seats (no gustantee) with the bar opening at 5.30pm. You could always get bottle service but that’s expensive. I wore shorts, sneakers, and a cat shirt but according to the website theres a dress code after 8pm, so keep that in mind. This isn’t my cup of tea (pun intended), but having high tea in a beautiful setting is one of the things to do for many. 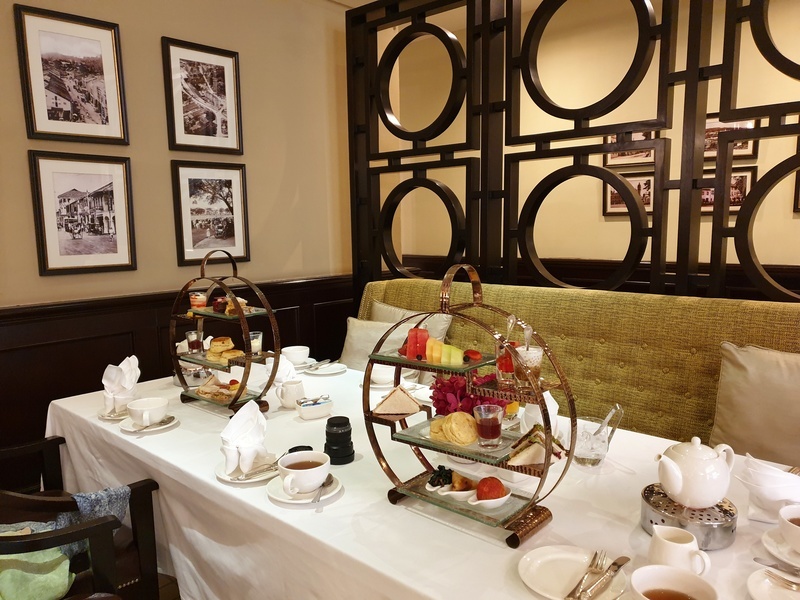 There are plenty of places to do so in KL, but Hotel Majestic is one of the best. With three rooms to choose from, you won’t have any issues getting a seat on most days BUT if you want a table at the Orchird Room, you will need to book weeks, if not months, in advance. It’s nothing like Bangkok’s Khao San Road, or Siem Reap’s Pub Street, but KL has its own place to drink that attracts a primarily tourist crowd. Located on Changkat Bukit Bitang, there are over a dozen bars, clubs, and restaurants too grab a drink. Most of the places will have a happy hour, though many of them aren’t exactly happy with their 10% discounts. Most of the bars have TV’s with sports on and music in the background with some transforming to a dance club later in the evening. There are various staff out the front who will entice you in for a drink, but take a walk along the street first to get a feel for the different atmospheres. I haven’t been here after midnight, but between 9:30pm and midnight on a Saturday, most of the bars are busy. 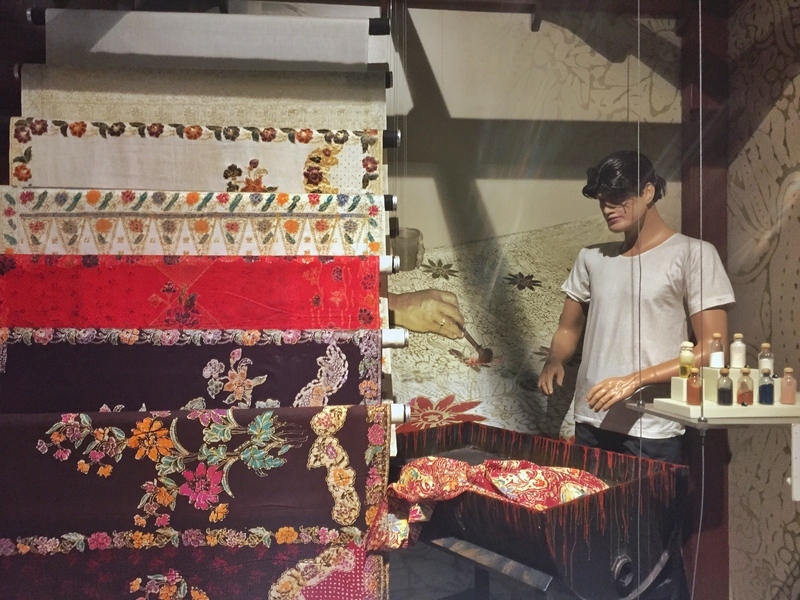 Alright, so if you’re like me the idea of a textile museum sounds so boring. It did surprise me though, the signboards are both in English and Malay and talk about the method and history of various textiles through the centuries. Wow, the process involved in some of the carpets is insane. I didn’t spend too long here, but if you’re interested in design, interior design, history, and culture in general, you’ll learn a bunch of interesting things here. A police museum? Doesn’t sound too exciting right? It was so cool! I was totally surprised how much I enjoyed the 40 minutes that was barely enough to look at one of the galleries (I think there is four). Inside the galleries, you’ll find lots of memorabilia, both real and replica versions along with detailed descriptions about what you’re looking at and about the historical periods of the Malaysian Police Force. Considering it’s free entry and is between the National Mosque and the Botanical Gardens, definitely pay a visit. This is my favourite museum in KL! It’s a massive modern building with several galleries, all of which you can view for free. You could spend a couple of hours reading and seeing everything inside, but I recommend heading straight to the Islamic Banking Gallery. For those who aren’t familiar with this, you’ll find the customs make this one of the most interesting places in KL. It may even make you question the bank you bank with and their practices. When I think of too many shopping malls two cites come to mind, Kuala Lumpur and Istanbul. 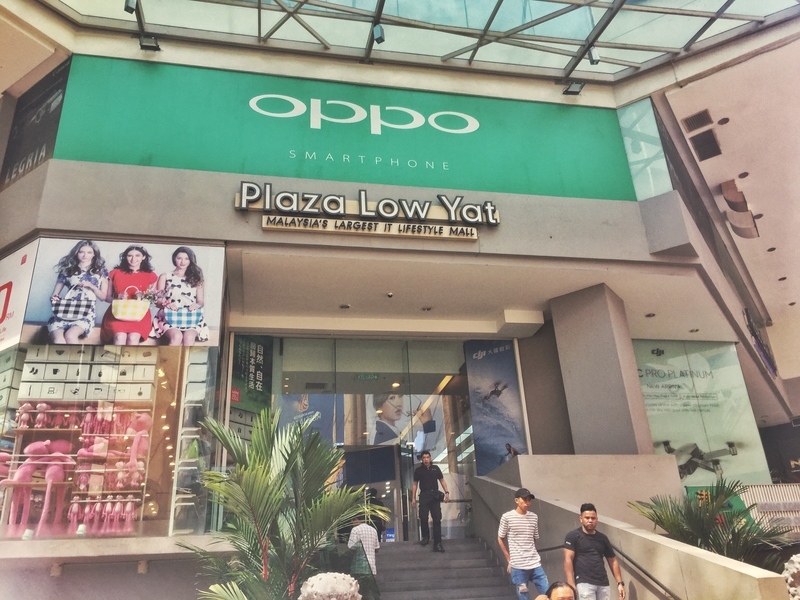 The most extreme area of shopping malls in KL is Bukit Bintang where if you get off the train, you could be in any one of five malls in minutes. If you’re a fan, you’ll love them! I’m not a shopping man but like some of the food options as mentioned above(budget options of course)! Oh, my one tip is to look up for the nearest Sports Direct for good prices on sports equipment. 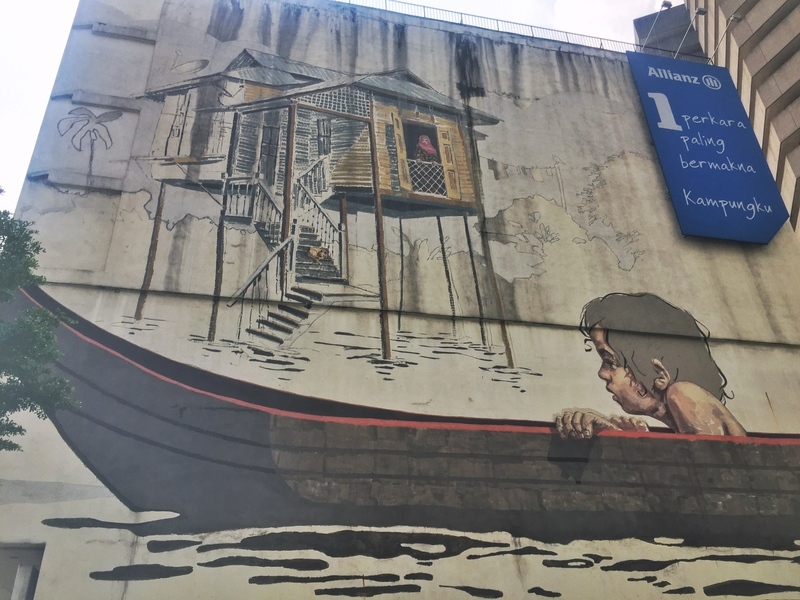 It doesn’t have the street art culture of Penang, Ipoh, or Melaka but you can find some cool stuff around the city. 30. Want A Break From The City? Head to Melaka! Melaka is just a two hour drive/bus ride away from Kuala Lumpur as is an easy trip you can do. You can take a guided tour which is convenient, or check out my DIY Melaka day trip. Well there you have it, all of the best places in KL to visit. I’ll be adding to this list over time no doubt as I explore more and more of the city. There’s always something more I want to see! If you want to know where to go after KL, check this post out. I like cultural valley events and festivals in Malaysia and Pakistan. like Hunza valleys are my favorite in Pakistan. You’re too right. Haven’t been lucky enough to visit Pakistan yet, but Instagram for Hunza Valleys look insane!